As online merchants know, debit and credit card processing fill the arteries to deliver lifeblood that keeps ecommerce shops alive. Does that sound too dramatic… Equating revenues to lifeblood? Not to merchants with businesses classified “high risk” by many banks, who fear they’ll earn little to no profits from these firms. Those fears arise from industry perceptions (and/or history) of higher chargebacks and incidences of fraud in some ecommerce industry sectors. After all, without the ability to earn revenues, an ecommerce business never gets off the ground — or it starts, splutters, and dies quickly. We’ve talked before about the rationale for the high risk label. Sometimes it results from from industry choice, and sometimes from a merchant’s poor credit. In all cases, additional challenges greet ecommerce merchants labeled high risk. As though starting and running a successful ecommerce business isn’t challenging enough! The first challenge occurs when trying to gain approval for a high risk merchant account, aka a managed risk merchant account. Without one, managed risk merchants cannot accept payments online. Which means they can’t grow their businesses or build customer satisfaction. Something every ecommerce merchant deserves to attempt, despite the associated business risks. 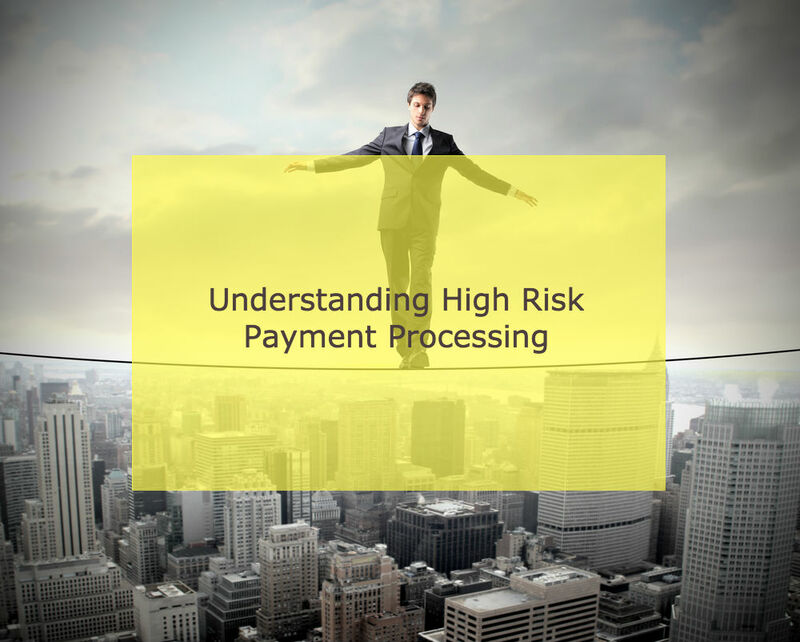 For all the high risk merchants out there, let’s take a peek at what to look for in managed risk payment processing. So they can land the necessary merchant account and get on with building a business. Managed risk accounts differ from traditional merchant accounts because of the risk level applied to the business. But we believe that every business needing one should have access to the many benefits of a managed risk merchant account. Only then can they also arrange managed risk payment processing services to support the needs of their ecommerce businesses. Many ecommerce shops fall into the high risk category, simply by virtue of the fact that online payments are by definition “card not present” (CNP) transactions. And CNP transactions carry a higher risk of fraud (true and friendly) than purchases made in person. It could be a waste of time and scarce resources to try to land an appropriate merchant account from banks. Underwriting processes in banks often make merchants jump through many, many hoops — only to discover they won’t approve managed risk businesses. So be sure to focus your efforts on finding a processor who specializes in managed risk payment processing. That way, you’ll be sure they understand the managed risk services that your business needs. Cost: While not the only factor to consider, some processors and banks take advantage and overcharge for their services. Be sure you insist on receiving a written agreement that includes all processing charges and potential fees, and review it carefully before signing any paperwork. Protect your business interests. PCI-DSS Level 1 compliant gateway. Any business that processes payment card transactions must become and remain compliant. Be sure your chosen managed risk payment processing provider’s gateway meets this industry standard. Support for recurring payments, MOTO, and MLM processing: Many online businesses thrive by offering services utilizing these business models. Be sure the managed risk payment processing account you choose supports them. Simple integration with your ecommerce website. Your chosen payment platform should integrate easily with your ecommerce website and provide all of the components needed to process and settle transactions under one roof. Access to fraud prevention and chargeback management services and expertise. It’s particularly helpful if your managed risk payment processing provider has the expertise to act also as a consultant and advisor for your payment processing needs. And finally, be sure you understand each service providers’ policies on volume caps (low and high) and any requirements for rolling reserves. Both could break your business if you’re caught unawares. Because your choice of managed risk payment processing — and the precursor of a managed risk merchant account — impacts your business success for a long time, be sure the customer service offered fits both your needs and your business personality. Look for a good fit. When you decide it’s time to find the right managed risk payment processing to support your business, give MerchACT a call. We’re a leader in risk management technology, and have spent more than 15 years working with high risk businesses. We specialize in providing merchant accounts and the tailored, end-to-end managed risk payment processing solutions that help your businesses prosper. Our customizable services help you to take advantage of your market. And our managed risk accounts allow you to use your business’s resources more efficiently, reduce losses, and maximize profits. MerchACT considers you to be our business partner, not just another customer. And we know that our managed risk partners don’t want to be tied down with extra costs, so we don’t charge application fees. We provide the solutions you need at a low cost with no volume caps and faster transaction speeds. We begin with a review of your current status, business goals, and plans. Only then do we suggest managed risk payment processing solutions — and provide guidance — to help your business succeed. We’re upfront about our costs and services throughout the process — in keeping with our values of transparency and accountability. MerchACT has robust payments industry experience, and the tools necessary to handle high risk businesses and their managed risk payment processing needs. Our goal is to help businesses like yours succeed. Because that’s what good business partners do.